Happy 4th of July to everyone in the US! 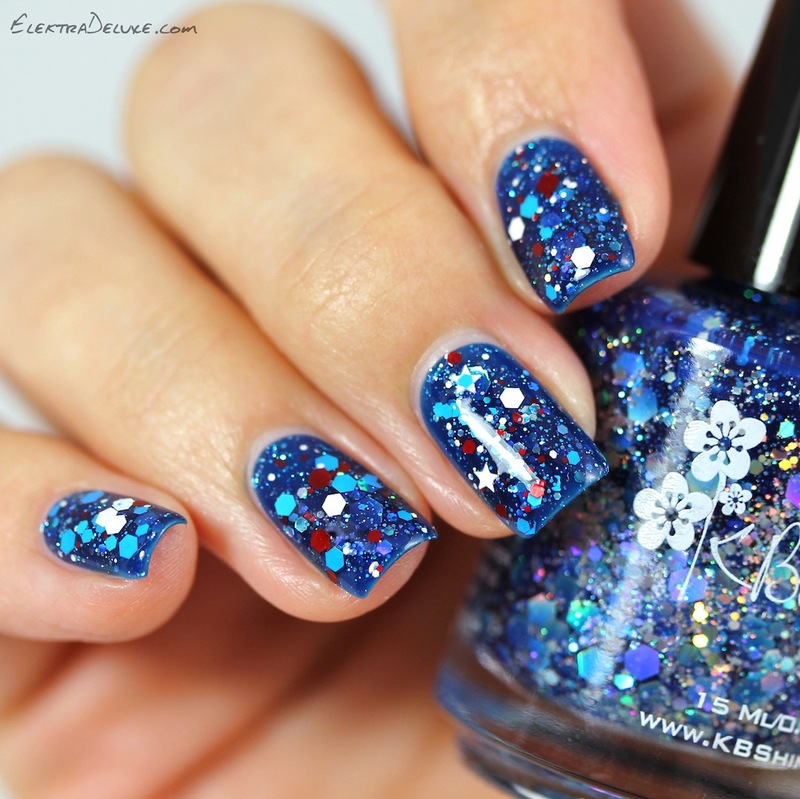 🙂 In celebration of the day let me show you one of my favorite matte glitter toppers: KBShimmer Wave The Flag! 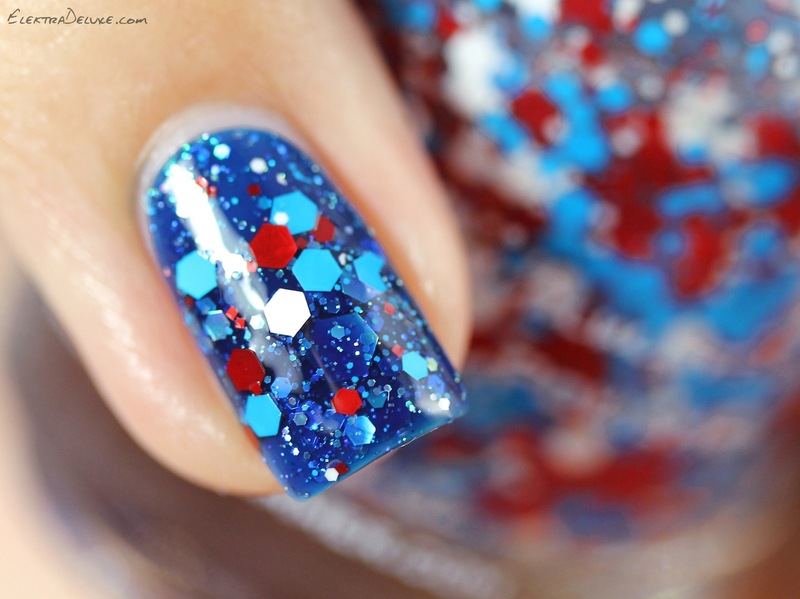 The polish contains white, blue and red matte glitters and little white stars. It’s perfect for the occasion! 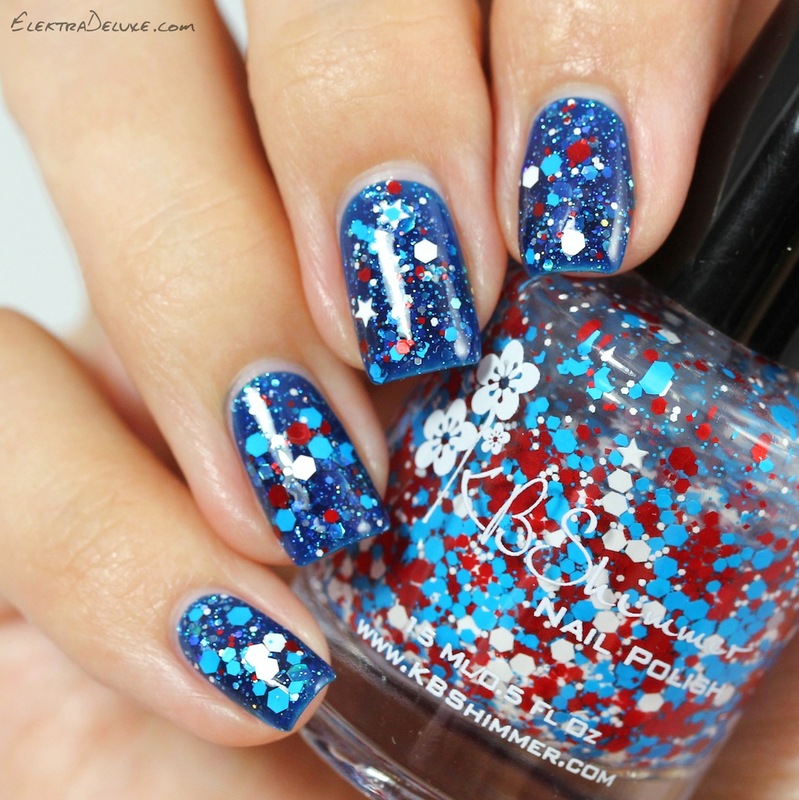 I applied 3 coats of KBShimmer I Got A Crush On Blue and topped it off with 1 coat of KBShimmer Wave The Flag.